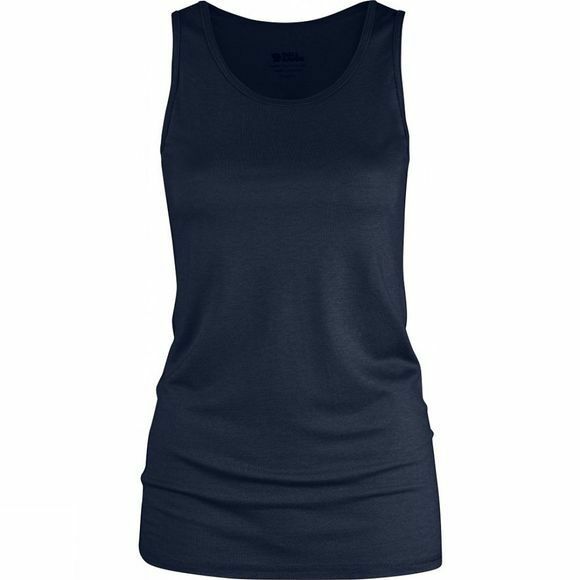 Light and comfortable tank top with feminine, slightly longer cut. Made from a soft functional material with wool and tencel, where the wool wicks away moisture and repels odours, while the tencel allows the garment to drape nicely and feels cool against the skin. Perfect for trekking and outdoor life on warm sunny days and just as comfortable as a base layer under a shirt in cooler temperatures.